Former east side alder Satya Rhodes-Conway beat Mayor Paul Soglin by a margin of over 20 percent, and more than 18,000 votes. 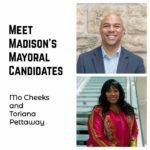 Rhodes-Conway will become Madison’s first openly gay mayor when she’s inaugurated later this month. She’s currently the managing director of the Mayors Innovation Project, a think tank housed at UW-Madison that gives advice to mayors across the country. Soglin addressed supporters less than an hour after polls closed to say he had congratulated Rhodes-Conway on her win. 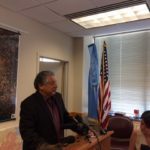 In the weeks leading up the the election, Soglin campaigned on his good relationship with local developers in his most recent two terms. He echoed his hope for that relationship to continue in front of media and supporters Tuesday night. 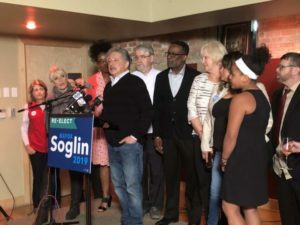 Soglin’s defeat likely ends one of the longest, most colorful careers in local Madison politics. The mayor thrust himself into the political landscape as a Vietnam War protester at UW Madison, and then as an alder for the campus district in the 1960s. He won his first mayoral election in 1973, ushering in a new era of liberal politics. Glenn Silber directed the War at Home, a formative documentary about the Vietnam War protests in Madison. He was in town ahead of a screening of the documentary, and attended Soglin’s election night gathering at the Brink Lounge Tuesday night. He remembers Soglin’s early days in Madison, first as a protester and then as a young mayor. Madison historian Stu Levitan draws historical parallels between Soglin’s first mayoral election and this one. After competitive elections in more than half of Madison’s aldermanic districts, the city council will see a striking 50 percent turnover this year. 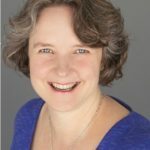 Alder Rebecca Kemble, who was elected in 2015, looks forward to working with the new members and a new mayor. Particularly, she’s hoping to see movement on the OIR report that recommended changes to the Madison Police Department, as well as from a city committee analyzing the structure of Madison’s government. 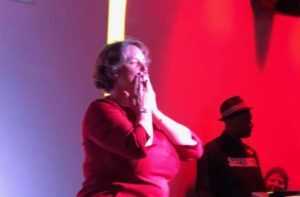 “I am super, super excited to help organize the council to work together to make some of these things happen,” Kemble said at Rhodes-Conway’s victory party. The newly elected alders also bring increased representation for women and people of color to the council. Two female alders, Amanda Hall and Ledell Zellers decided not to seek reelection. But three new women were elected to the 20-person council, bringing the number of female alders from eight to nine. 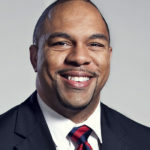 Representation for people of color increased by three council members. The council will go from six alders of color to nine. All the newly electeds in these local races will be sworn into office in just two weeks, on April 16.